Funny name, I know. At first look, I thought it was Celebritous Celina Cheek. Maybe it made a bit more sense... haha. It's been in Watsons for a very long time now, but I never considered buying it. 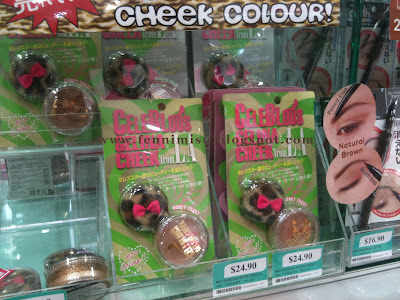 It looks so cute, cos of its furry leopard print puff and a glittery plastic container but nonetheless, pricey. It retails for $24.90, which you can get the better Melliesh from John Little at this price. There was only 2/3 colours for samples. Don't think they sell the pink macaron colour. From the swatch, Naked Skin is a sheer and frosty plum pink and Honey Toast is an orangey brown. 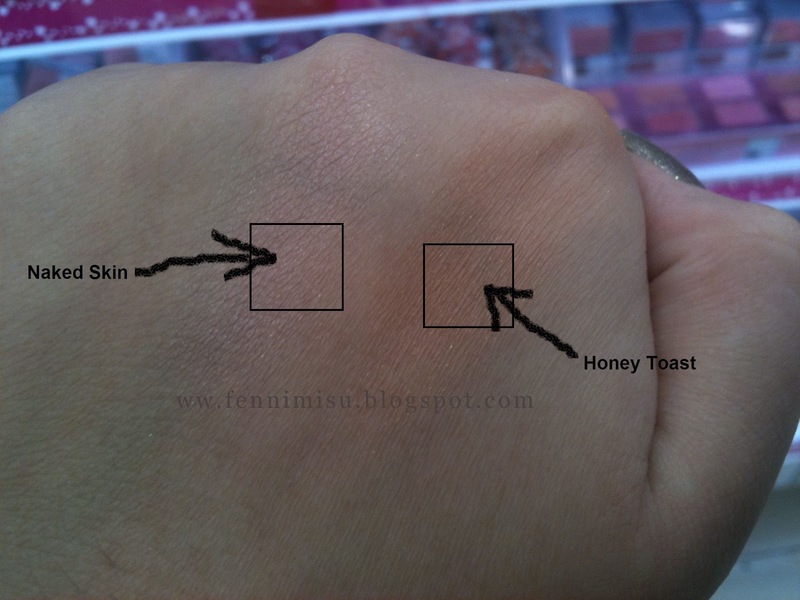 Both are very shimmery, and not that pigmented (its 3 times I swatched). The colours are probably not that common in more major jap drugstore brands like Canmake and Majolica Majorca, but its pigment is definitely comparable to them. These colours also probably looks better on darker skin, for a healthy glow of some sort. The name itself is so weird......... I rather get Melliesh. The price is really not worth the quality.